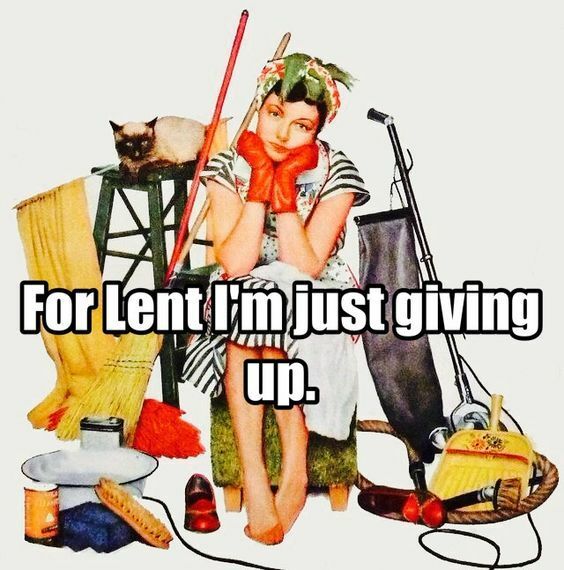 I've mentioned here before that I have given up trying to make any Lenten plans. God simply chuckles and then throws whatever He wants at me. My surgery was successful, but there's a glitch. Apparently my little apparatus does not prevent or help with muscle spasms, an issue I've dealt with since I was about 14. Now, when I say "muscle spasm," do not think "charley horse" or "cramp." No, think: woman lying on bathroom floor screaming. Once in awhile I can work through them on my own, but usually they require a trip to the ER. I've have 4 of these episodes since my surgery. My nurse thinks that the surgery probably aggravated some stuff, and my muscles will settle down in a few weeks. I can only say: I fervently hope so. I've had an ear infection for about 10 days. Two antibiotics and every home remedy under the sun. I continue to struggle with apartment life. Don't get me wrong - I REALLY like our apartment. It's quiet, the neighbors are respectful, the price and location are great. Now that we've got art up on the walls, it feels like home. But it doesn't quite feel like home. And that makes me...sad, angry, jealous. Icky. And supremely ungrateful. I also completely lost it with Dark-Haired Daughter the other night. Why? I just wanted some space, and in a two bedroom apartment, there is not a whole lot of space. It ended up in this horrible shouting, slamming doors, sulking show. Ugh. My oldest daughter has moved, with her hubby, 1000 miles away. And she likes it there. Snot. I can't seem to get off the ground spiritually for Lent. I've missed Mass a couple of Sundays - once for a muscle spasm (well, more for the drugs after the spasm) and once for this crunching ear infection. I'm trying to keep up with readings and weeks and themes, and the best I can muster is a sleepy Rosary said every morning. God, in His infinite wisdom, plunked down St. Patrick's Day in the middle of Lent, so at least there is a reprieve of sorts. I got an adorable Irish gift from a dear friend - the sort of friend who seems to telepathically know when I need a pick-me-up. I need to go to confession. I need to pray the Stations. I need Lent, and not just grinding-down-pain-and-doldrums. Thankfully, I know where to get me some Lent.